Spring is in the air and we hope it remains so for the next few weeks until the official arrival of spring. To celebrate International Women’s Day this Saturday, March 8, Florence will open its city-run museums (click to see full list) to women offering FREE ENTRY (only the Brancacci chapel and the tower in Palazzo Vecchio require reservations, which are free for everyone; reserve at info@muse.comune.fi.it or by calling 055 2768224). The weekend also marks the last days of Carnival celebrations and floats across Tuscany: in Vernio and Arezzo on Saturday and in Viareggio and Bientina (near Pontedera, PI) on Sunday. This weekend celebrate the women in your life and have some fun before the 40 days of Lent start! 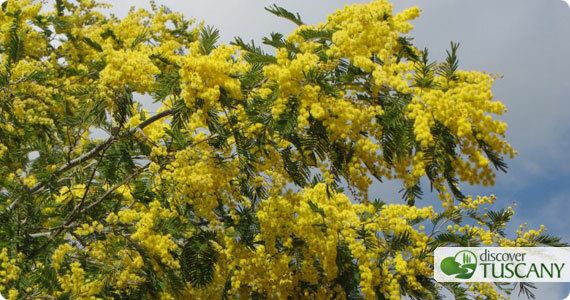 In Italy, tradition calls for giving women a sprig of yellow mimosa on “festa della donna”, but you can certainly also celebrate with a special dinner out or a glittery gift to wear to party for Carnival this weekend! The Obamas in Tuscany: What should they visit?